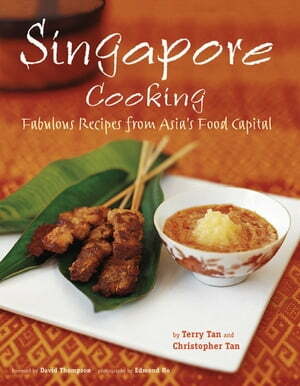 Collins Booksellers - Singapore Cooking by Terry Tan & Christopher Tan, 9781462905300. Buy this book online. An abiding Singaporean passion, food is a central part of life on this multicultural island quite simply because there's so much of it that's so good! Singapore Cooking, featuring a foreword by James Beard Award-Winner David Thompson, is a fabulous collection of beloved local classics, including the most extraordinary Chicken Rice and Chili Crab you will have ever eaten, as well as less common but equally delightful dishes, such as Ayam Tempra (Spicy Sweet-and-Sour Stir-Fried Chicken) and Nasi Ulam (Herbal Rice Salad). The recipes are well written, easy to follow and accompanied by beautiful color photographs. With this Singapore cookbook by your side your acquaintance—or re-acquaintance—with Singapore food promises to be an exciting and mouthwatering experience.